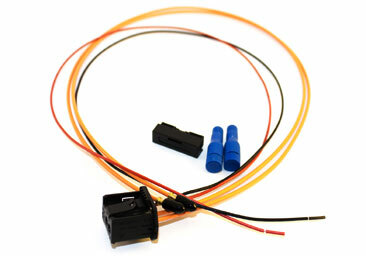 This cable is designed to connect GROM-MST4, MST3P, MST3 car interfaces to select fiber-optic stereos in German cars and Volvo. 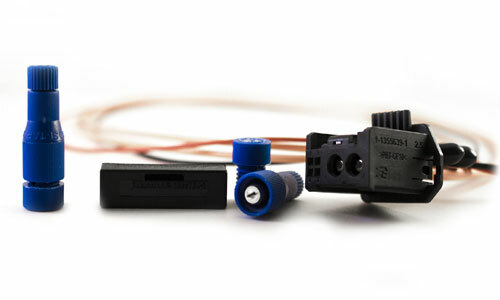 GROM-MST car kits connect to select BMW, Mercedes Benz, Audi and Volvo fiber optic stereos with M.O.S.T. technology for USB, iPhone, Android and Bluetooth integration. The GROM C-POF fiber optic assembly contains everything you need: two fiber-optic cords, power wires, couplers and connectors. If you are not sure if this cable will fit to your vehicle please contact us via contact form. GROM-MST4 car kits (except VOLXCO) include C-POF optical cable assembly in the package. You do not need to order it separately if you are ordering one of GROM-MST4 kits.